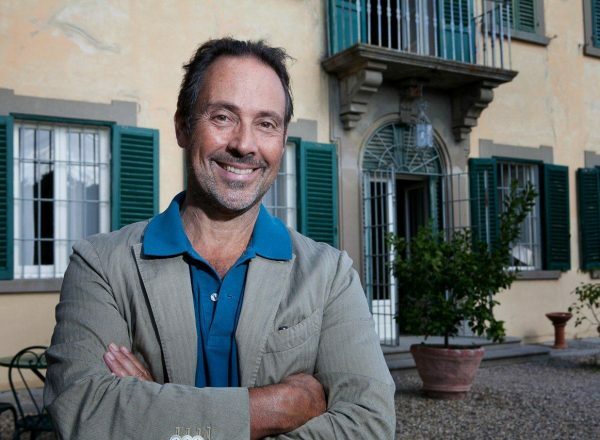 Bòggina B is a little bit of Burgundy with a Tuscan twist. The wine is made with 100% Trebbiano Toscano. 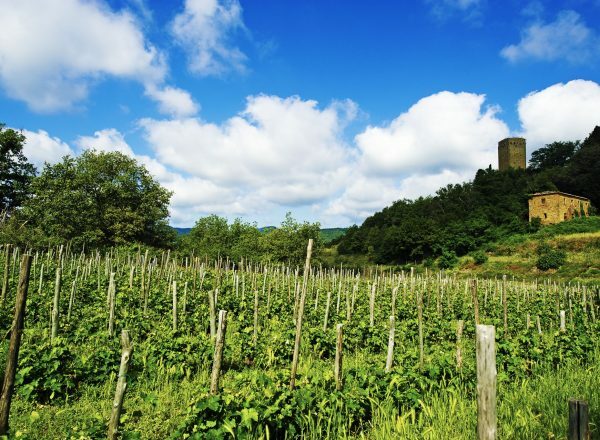 The clone of the Valdarno has been known for its quality since the 1300s, when it was regularly sent to the popes in Rome and the courts of Florence. Petrolo has been using Trebbiano grapes for its sweet vinsanto for decades, but owner Luca Sanjust decided that the time had come for a tribute to the great whites of Valdarno’s past. The wine is made under the guidance of one of Burgundy’s greats, Mounir Souma of Lucien Le Moine. 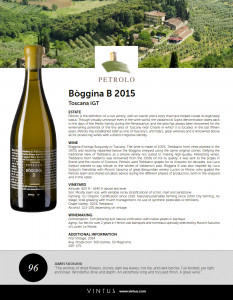 Bòggina B is produced from Tuscan Trebbiano planted in the 1970s at Petrolo in the Poggio vineyard and recently replanted below the Bòggina vineyard using the same original clones. Bòggina is the oldest vineyard on the Petrolo estate. 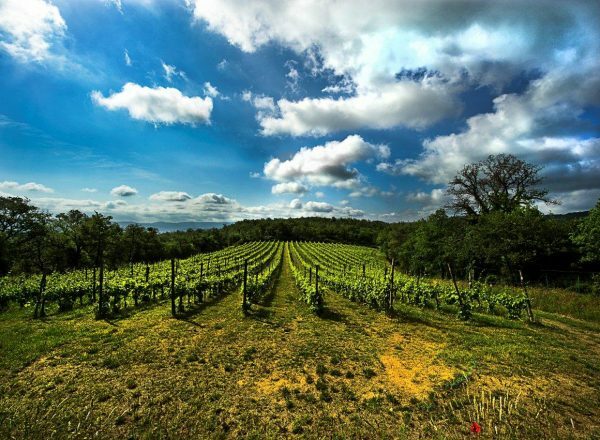 Planted in 1952 by the grandfather of proprietor Luca Sanjust, it spans 13 acres. It is planted to a density of 5,500 vines per hectare and is cordon spur trained. The yield per plant is notably restricted (max 2.5 lbs per vine plant), allowing a concentration of all the noble components of the grape, fundamental for the full-bodied character of this wine. Manual harvest in crates. Grape selection & sorting table. Soft pressing and natural vinification with native yeasts in barrique. 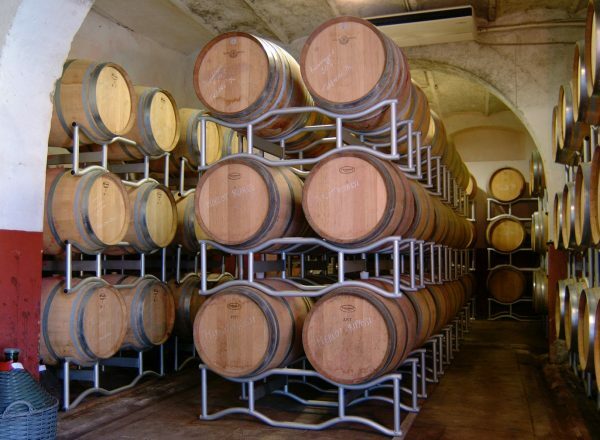 Aging sur lies for over 2 years in French oak barriques and tonneaux. Aromas of lemon rind, honeycomb, and dried apple. Full body, lightly chewy with phenolic tension and style. Undertones of straw and almonds and hints of cream. Very complex finish. Extremely structured. Impressive follow up to the excellent 2014 debut. Only two barrels made. 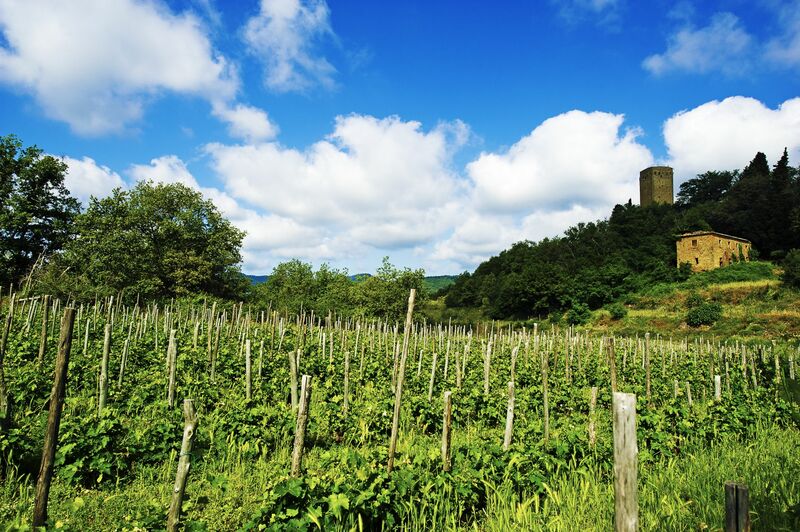 Torrione is made primarily from Sangiovese grapes, both those that come from historic vines of the 1970s and ones more recently planted with high density. The yield per plant is notably restricted, allowing a concentration of all the noble components of the grape, fundamental for the full-bodied character of this wine. 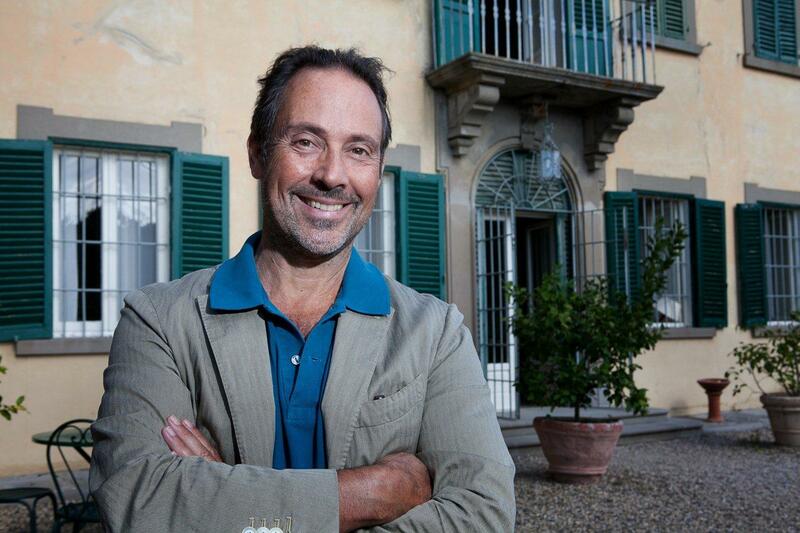 The fruit intensity and its black character make it a comparison to Brunello at several times the price. Boggina is bottled from the best barrels of Sangiovese produced each year from the Boggina hill, planted in the 1950’s by Luca’s grandfather. 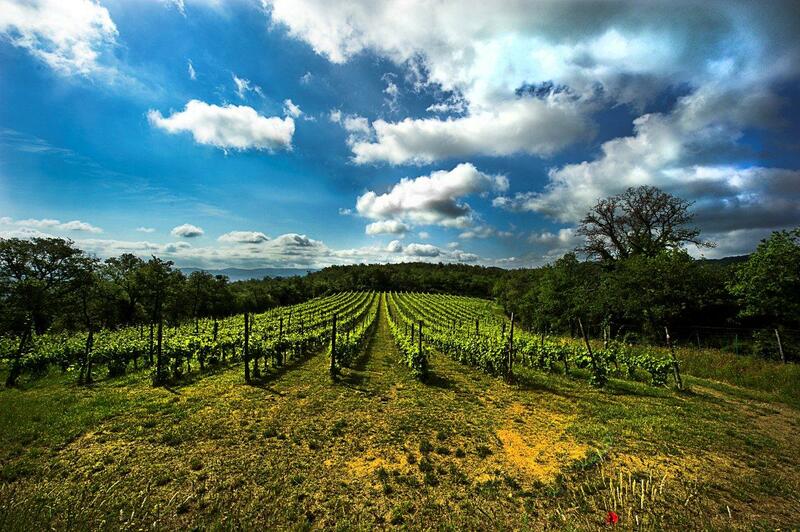 Bòggina is the oldest vineyard on the Petrolo estate, and the source of Petrolo’s most prized Sangiovese vines. 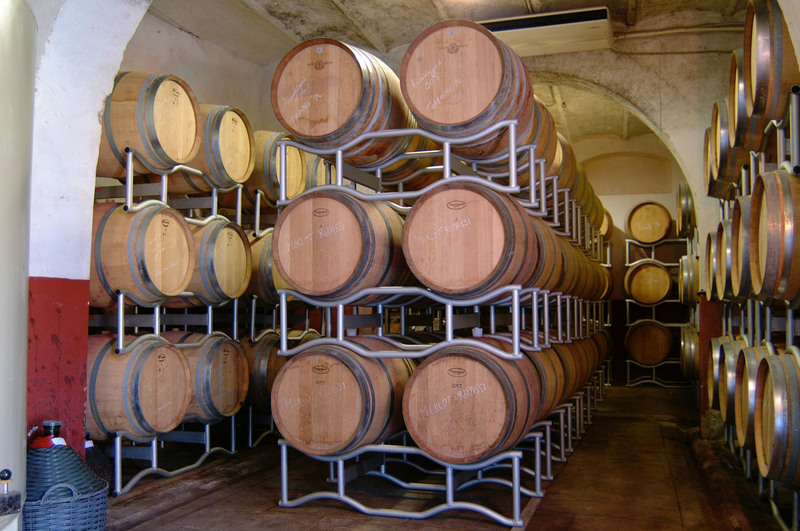 Every year, Petrolo selects a small lot of Bòggina, a wine made purely from their best Sangiovese grapes, to ferment in amphorae. The choice of amphorae has a historical dimension to get closer to Tuscany's cultural roots, as Terracotta in Tuscany has a history back to the early Etruscan times. 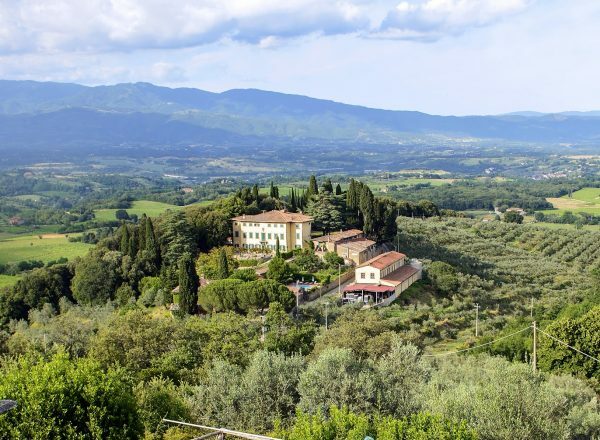 The remains of amphorae and other Etruscan relics can be found throughout the Petrolo property, an area that has been settled for thousands of years. Galatrona is a cru made entirely from Merlot grapes coming exclusively from a single vineyard planted in the early ‘90s. 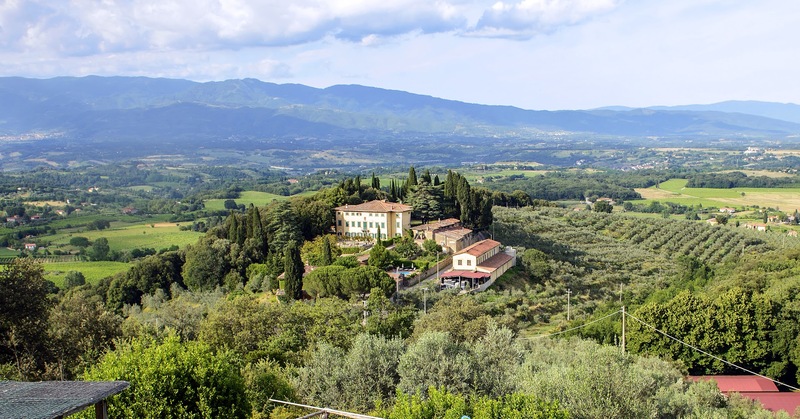 Year after year, it is recognized critically (the “Le Pin of Tuscany” by Wine Spectator, for example) but, more importantly, understood as being a reflection of its site far more than its grape varietal.